Tiny baby Jesus, help us in our struggles with boredom as we watch The Nativity Story. I had an epiphany while watching The Nativity Story. An angel spoke in my ear, if you wish, though I prefer to believe I came up with the thought myself. We’ve always known that when filmmakers adapt a literary work to the screen, an overly reverent approach to the text is the surest way to bore the audience. What struck me during this movie was that the Bible is a literary work, and the rule holds as true for the Good Book as it does for Stephen King’s umpteenth novel. Unfortunately, my mind had plenty of time to hit upon this during a stultifying retelling of the events leading up to Jesus’ birth. I had time to think of every version of the story that was more entertaining, from Menotti’s opera Amahl and the Night Visitors to Linus’ anecdote in A Charlie Brown Christmas Special. I had time to give myself a giggle remembering Will Ferrell’s insistence on praying to the baby Jesus (as opposed to the grown-up Jesus) in Talladega Nights. I even had time to ponder the throwing mechanics of various NFL quarterbacks. For a movie that’s supposed to inspire religious faith, that’s not good. 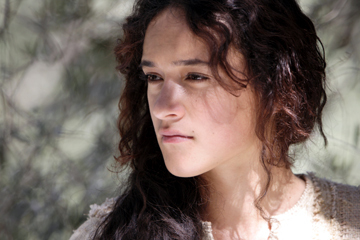 The 16-year-old Keisha Castle-Hughes plays Mary. She starred in Whale Rider three years ago and got a well-deserved Oscar nomination out of it, but here she goes through the entire movie wearing the same expression of vague worry, as if the blessed Virgin were expecting underwhelming results on a calculus test rather than giving birth to the Messiah. A similar lack of modulation creeps into the rest of the cast, which is notable only for its extensive use of actors of Middle Eastern ancestry — Shohreh Aghdashloo as Elizabeth, Shaun Toub (the Iranian storekeeper from Crash) as Joachim, Hiam Abbass (the suicide bomber’s mother from Paradise Now) as Anna, and Alexander Siddig (the reform-minded prince from Syriana) as the archangel Gabriel. None of them succeed in turning their characters into recognizable people. For a film that aims to humanize the personages in this religious story by showing us their emotional states, this simply won’t do. More seriously miscast is director Catherine Hardwicke, who’s known for the overrated Thirteen and the underappreciated Lords of Dogtown. One can debate the respective merits of those films, but this much is beyond dispute: Neither of them suggests that their director has any flair for rendering religious visions. To capture the story’s miraculous nature (and to counteract the dusty look of most of its scenes), the movie needs visual splendor, mystery, terror, and wonder. None of these are in Hardwicke’s repertoire, and as a result, her plodding film is a chore to watch, especially with all the nighttime scenes shot in the same blue filter. It’s hard not to think what a more imaginative director like Darren Aronofsky (The Fountain, Requiem for a Dream) might have done with this story. 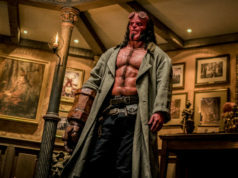 For starters, he might have cut away the fat in the script by Mike Rich (The Rookie, Radio). 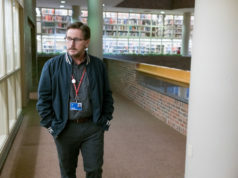 Elizabeth’s pregnancy receives way more screen time than it should, and the internecine plotting between Herod (Ciarán Hinds) and his son Herod Antipas (Alessandro Giuggioli) palpably drags down the proceedings. The inclusion of these subplots is a sign of a writer who sensed — correctly or not — that the story of Mary and Joseph wouldn’t take up a feature-length film and needed to be padded out. There’s some mildly interesting business with Joseph (Oscar Isaac) struggling with his doubt when he first discovers Mary’s pregnancy, but Rich then quickly dispenses with it, as if he’s too troubled by the issues he’s raised to pursue them with any rigor. Worst of all, he attempts to supply some comic relief via some damp wisecracking by the Three Wise Men. They started doing this just as I was wishing for some comic relief to break up the dramatic monotony. They made me take back my wish with a vengeance. Say what you want to about Cecil B. DeMille’s biblical epics, they weren’t dull. They were gauche and unfaithful to the text, and their spectacle drowned out the message of their Bible stories. Yet without entertainment value, the best of cinematic messages will be lost. That’s what so often happens with religious-themed films these days, Christian and otherwise. 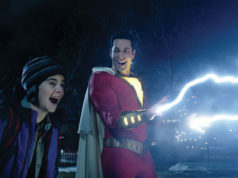 The malaise remorselessly claims The Nativity Story, a movie that forsakes DeMille-style spectacle in favor of grimy realism but can’t pick up any advantage because of it.